LPG, otherwise known as Liquefied Petroleum Gas, provides a warm and efficient central heating system which is seen as the closest alternative to mains gas. It provides a fantastic form of heat that is highly controllable for hot water and cooking. LPG has a significant advantage over oil heating because of its versatility and can be used for cooking, water and space heating. With an instant flame and controllable heating you’ll see instant savings on energy bills, whilst it’s cleaner and soot free. On top of this, LPG heating is odourless and the system can even be installed underground to save on space. With an LPG heating system you’ll have access to instant heat, produced at a cleaner rate and more convenient to deliver. LPG has better versatility, capable of providing heat for cooking, water and space heating. On top of this, you would benefit from reduced maintenance costs and carbon dioxide emissions would also be cut. With LPG heating, the significant benefit over electricity is that prices remain the same over a 24-hour period. LPG doesn’t suffer from peak time penalty rates and also won’t be affected by power cuts. With instant responsive heat and being cleaner for the environment, there’s no reason not to consider LPG as a viable heating source. 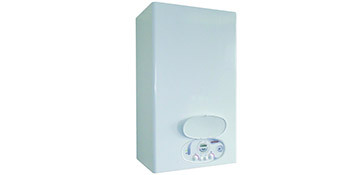 With an LPG boiler you can make significant savings on both energy bills and carbon emissions. If you’re off the main gas grid, you’ll find monumental benefits to the installation of LPG and it beats electricity, solid fuel and oil heating. For up to four FREE LPG boiler quotes, simply complete our quick form and hear from local, vetted and reputable professionals. Project: Replace existing lpg combi boiler with horizontal flue with more efficient boiler. 4 bed, 2 bath detached house. 11 radiators. Makewarm were very responsive. In fact they responded twice to the initial request, the second respondent not being aware that I had already been contacted and an appointment set up. At the site visit the surveyor seemed to be confused as to whether the boiler was an open vent one or a system boiler. Initial quote was for the wrong type of bolier. Excellant although no decision made, but would definately get in touch again. If you don't know anyone in the trade, then I think it's very trustworthy. The below information indicates the energy performance of homes in Uk. Energy ratings range from A to G, with A being the most energy-efficient and G being the least efficient. The Energy Performance Certificate (EPC) rating factors heavily if you want to sell your house, as prospective buyers will see just how much they're probably going to be paying for their home heating expenses. House upgrades such as insulation help to drastically improve a home's EPC rating. There are many different types of property in the UK and the information below shows the type of houses within Uk. Throughout the country the most popular property types are typically semi-detached and terraced housing, but detached homes, flats and bungalows are also available. The information below gives an indication to the number of homes in Uk which are central heated and non-central heated. Properties are heated by a range of sources which reflect how expensive yearly energy bills are going to be. Types of central heating include gas, electricity, oil, solid fuel and LPG boilers. Changing the way in which your property is heated could see you with cheaper bills. The data underneath reveals the spread of properties heated up by different fuels. Around the UK the most frequent undoubtedly are gas heated houses, followed by electricity and then oil. Biomass central heating boilers are also increasing in popularity, heated by eco-friendly products including wooden pellets or agricultural waste.|Houses in Britain are heated by a range of fuels, such as gas, electricity, oil, solid fuel and LPG boilers. Each fuel has a varying cost associated with it which means you could find yourself with less costly energy bills by altering how your household is heated. Even solar thermal panels are being considered by many people as a way to cut heating bills for the many years to come.